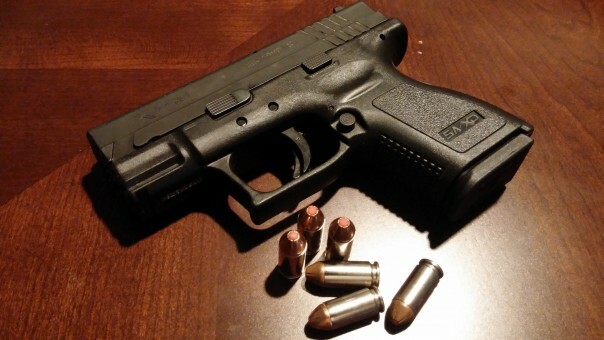 Just to let you all know, that the training needed to comply with I-1639 is available through www.firearmsacademy.com . I have taught 4 of these classes since the law took effect. We will be teaching several more before July 1st, and also we are available to go to gun clubs, etc. to do the training. We have settled on a 4-hour class, cost is $50. And, please understand that we would rather be doing something different than teaching these classes, but unless the law is tossed within the next couple of months, (and I don't believe it will be) we are all stuck with it. Check the above link for information on dates. So marty, in the interest of clarity for members and readers, I 694 as passed, was STRICTLY aimed at semi-automatic RIFLES mandating training training. In 2018, voters approved Initiative 1639, which among other things, requires any person who desires to purchase a semi-automatic rifle in the state of Washington, to have taken a firearms safety training course. Unquote. I bring this up as your last posting was in 2009 regarding CC carry applicability [read as “... requiring some training to get the permit...”] and marty you might have forgotten this is the premier open carry site for citizen’s carry of their handgun. Finally, has the WA SP has come up with a mandated/approved curriculum for citizen’s semi-automatic training, do you have a viable cite since those mandates would be statutory so all training entities would be assured their training met those statutory mandates! I am sure members and readers would be greatful. Good point, but isn't only discussion about the carrying of long guns prohibited? Training, ownership, requirements, etc. should be fine. Good to know there is training available to help comply with law. Small nit...since the law hasn’t quantified citizen’s training curriculum so how does the citizen know if their course meets prescribes the state’s purchase requirements? Yo marty..why haven’t you posted on WAGUN or Northwest firearms?